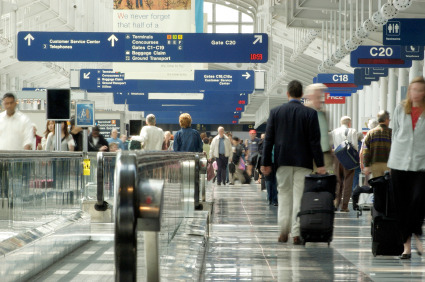 “Although the Internal Revenue Service (IRS) does not specify how to determine if the primary reason for domestic travel is business, the number of days spent on business versus pleasure is a key factor. Travel days count as business days, as do weekends and holidays if they fall between days devoted to business and it would be impractical to return home. ‘Standby days,’ when physical presence is required, but work is not necessarily performed, also count as business days. Any other day principally devoted to business activities during normal business hours is also counted as a business day, as are days when work was expected but not possible, due to reasons such as local transportation difficulties, power failures, etc. “Laptops (and, whenever possible, other portable devices), once encrypted, enable one to reap two major benefits, one altruistic and one selfish. First, the humane reward: in case the machine gets lost or stolen, whoever has the laptop will not be able to pull any data, let alone confidential information, off of the machine. As a result, confidential information, as well as private information as to co-workers, customers and others is protected. Second, the self-interest boon: anti-identity-theft statutes typically exempt lost or stolen encrypted personally identifiable information (PII) from triggering the duty of the data owner to give notice of breach. Thus, those who take precautions are spared the monetary costs and the PR-hit that inevitably flow from a notice-of-breach scenario. “Starting February 11, 2011, USCIS will begin issuing employment and travel authorization for Adjustment of Status applicants in a single card, doing away with the separate paper approvals formerly issued for travel authorization (otherwise known as Advance Parole). This card is to be issued when an applicant files an Application for Employment Authorization (Form I-765) and an Application for Travel Document (I-131) concurrently with, or after, filing a Form I-485, Application for Adjustment of Status. Bonus for reading this far: a business- and travel-related cautionary tale. Check your final destination!